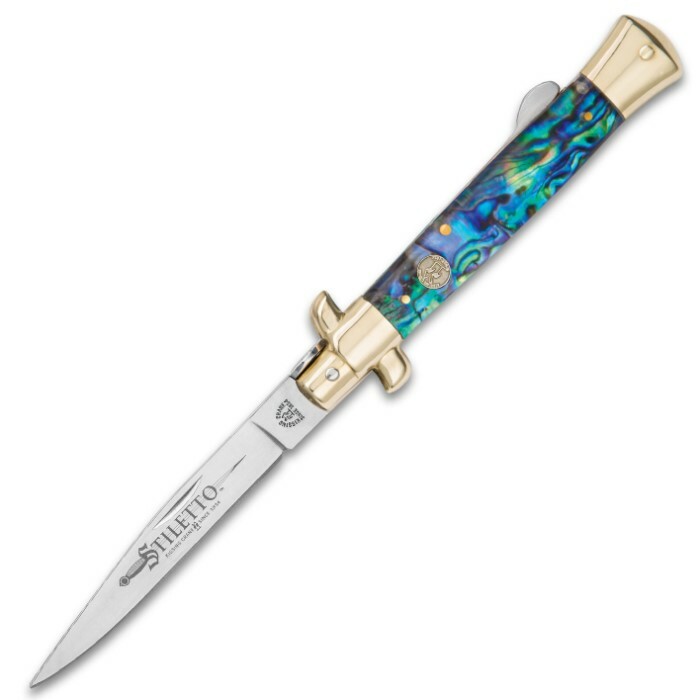 Excellent quality Stiletto knife featuring a composite abalone handle and brass pins, bolsters and a brass shield on the handle. The 4 7/8 in. 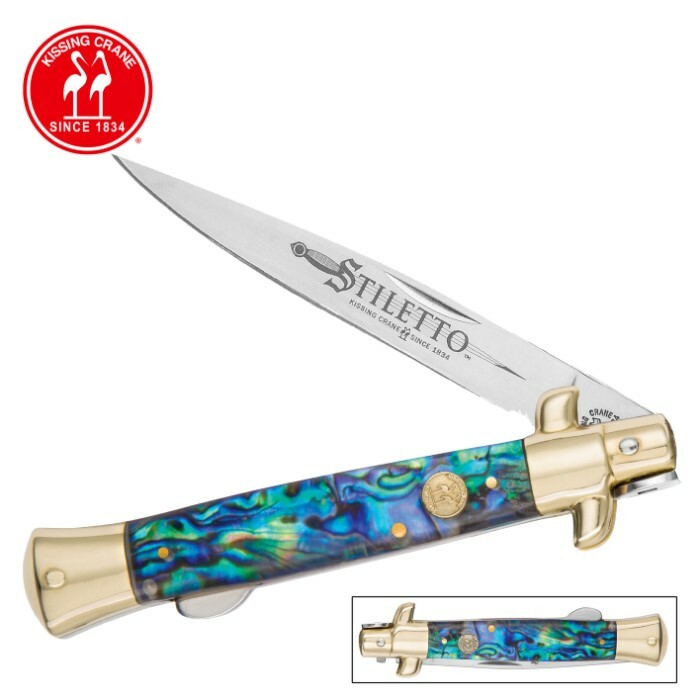 mirror polished stainless steel blade includes an attractive Stiletto logo etching. 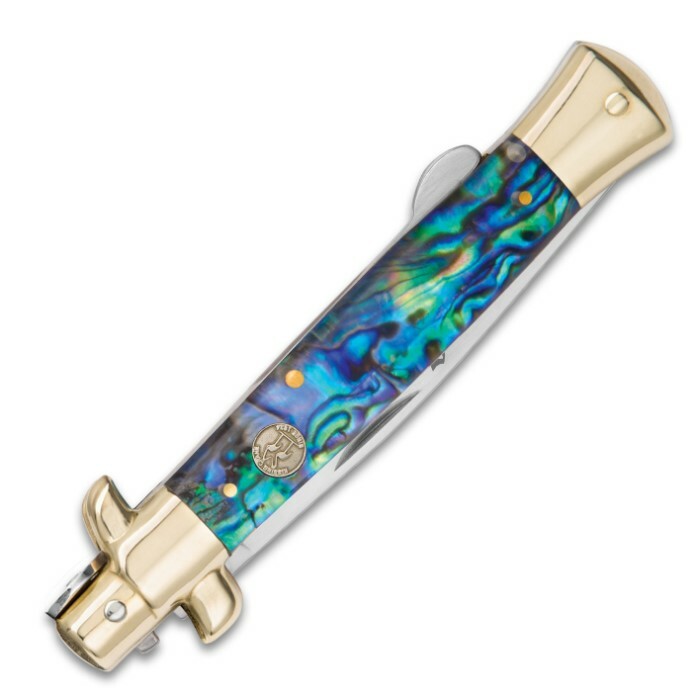 Combines elegant style with great protection. 4 7/8 in. closed. 9 7/8 in. overall.